If you require a good budget hotel look no further than The Aston Hotel. 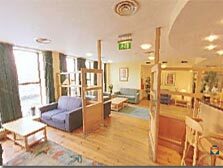 Situated in the heart of Dublin City overlooking the Liffey. The guest can enjoy the lovely river view in this ideal location. Pubs, Restaurants, shopping and sightseeing are all close by. Perfect for the business or leisure guest but also a memorable romantic weekend. The en suite rooms are beautifully decorated with modern art and contain king size beds and all modern comforts. 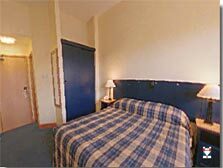 The rooms are fitted with direct dial telephone, cable TV, hairdryer and tea & coffee-making facilities. The guest can choose between a continental breakfast and a full Irish breakfast every morning. 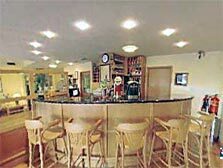 The hotel is within easy access to many pubs, restaurants, cafés and entertainment venues in cosmopolitan Dublin. The wide variety to choose from will ensure that all taste in cuisine is catered for. Located at 7-9 Aston Quay The Aston Hotel is just next to O`Connell Bridge. Situated on the South side of the river the guest can enjoy the lovely river view. The hotel is only three minutes walk from Trinity College, the shopping district of Grafton Street and the vibrant night life of Temple Bar.